After the scene where the landlady knocks the landlord out the window onto the ground, the original version shows a bit of blood flowing out from under the landlord's face after the plant smashes his head. The mainland version removes the blood. Sing's failed attempt in intimidating a Pig Sty village farmer, who punches him square in the stomach. The original version shows Sing spitting out blood, which ends up appearing on the farmer's face after Sing asks her what she does. The mainland version digitally removes both the blood being spit out (but blood is still seen around his mouth, implying it was "coming up") as well as the blood splats on the farmer's face. During the night scene right before the attack from the musicians there is a long take showing what most of the residents of Pig Sty are doing, including someone crouching on the ground having a "bowel movement". The original version shows a piece of paper with excrement on it implying what he was doing, while the mainland version removes the paper and its "contents", leaving the viewer confused as to why he's simply crouching down with his pants partially down. When "The Beast" punches Sing in the chest in the casino, two extra shots appear in the original cut, with the first being a slow motion shot of blood spraying upward The Beast's face, and the second being another slow motion shot, this time of Sing's head flying back with blood spraying from his mouth. Soon after this, Sing's face is punched into the ground by The Beast, and a slow motion shot of The Beast's bloody hand being raised from the ground is shown in the original cut. The mainland cut simply jumps from the shot of Sing's head being punched through the ground to the low angle shot of The Beast pulling his fist up. Q: What are the differences between the US-DVD (Rated R) and the uncut Hongkong version? Stephen puts his work into another level!!! 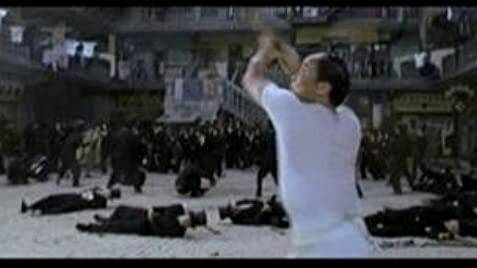 In general, it's a movie which puts tribute to all the Kung Fu Movie. Some argue that Stephen uses a lots of old jokes and routines in this movie that makes it a little bit weak on the script. However, I think it's one of his best. He doesn't make as many dirty jokes as usual, but you can really learn his philosophy through this two-hours movie and have a very good laugh at the same time. If you really watch the movie carefully, you will know what kung-fu is. Stephen Chow truly understands kung-fu, in my opinion, and it a sure thing that he crazies about it. It's not a common kung-fu movie like "Crouching Tiger, Hidden Dragon" or "Hero". 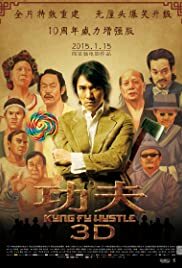 Stephen Chow uses his own way to express kung-fu. I sincerely recommend this movie to those who still has the slightest hesitation whether you should watch this movie or not.Just Go!!!!!!!!!! You won't regret it!!!! 213 of 258 people found this review helpful. Was this review helpful to you?